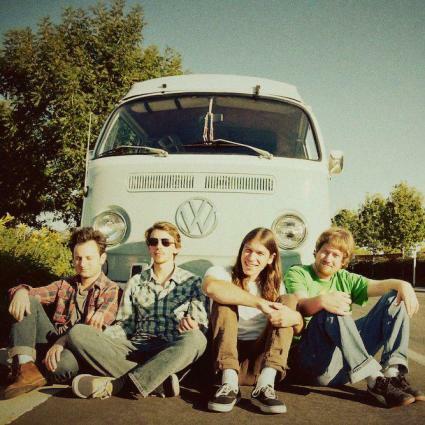 The San Francisco based garage rock band, The Stone Foxes have released a new single entitled Cold Like A Killer. This new track is a smoldering rock anthem that cooks and simmers, showcasing the band's bold signature garage soul sound that is reminiscent of The Black Keys. We're always happy to cover such a hard working band! 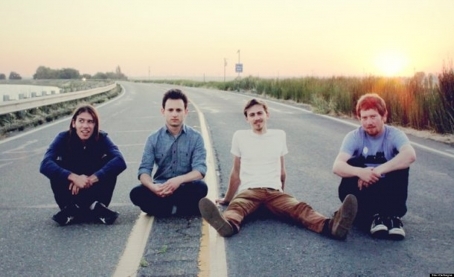 If you like what you hear, you should attend their show at Leo's in Oakland on March 7th! 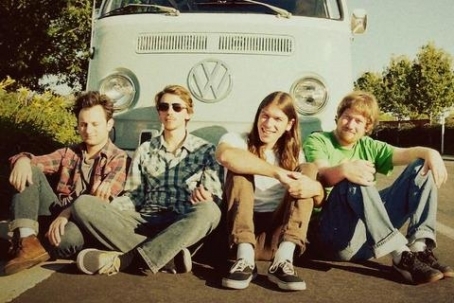 San Francisco based super group, The Stone Foxes are playing a concert at The Fillmore on May 4th in San Fran to promote their new album, Small Fires, and to highlight their partnership with the healthy hunger relief charitable organization, Super Food Drive. The band created a humorous youtube video to express their elation about their upcoming show. The Stone Foxes new album, Small Fires, is laced political undertones while the song Goodnight, Moon specifically faces the reality of homelessness. This show has the band teaming up with the SF Food Bank as the band has worked to connect with every local food bank along their tour route. For more information about The Stone Foxes' partnership with Super Food Drive, click here. The Deli Magazine San Francisco is happy to support The Stone Foxes and their selfless contributions in the Bay Area and wherever they roam! Make sure you don't miss their live performance on May 4th at The Fillmore. It will be an epic show! 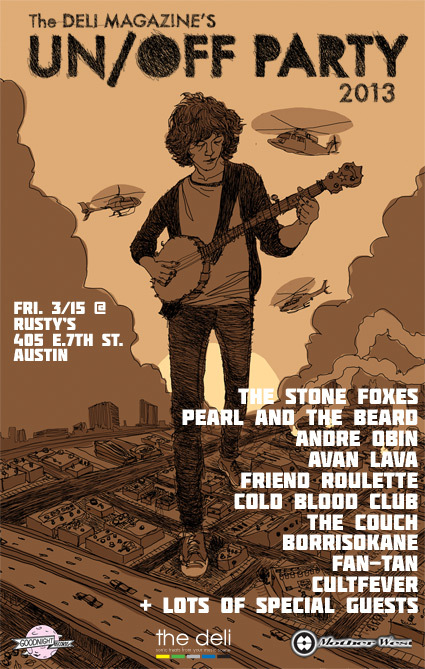 Popular SF based blues rock band, The Stone Foxes are set to headline The Deli Magazine's UN/OFF party in Austin, Texes this year. The event is completely FREE, and will be held on March 15, 2013 at Rusty's. 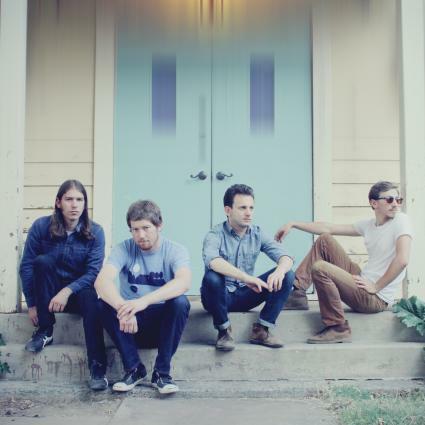 Don't miss The Stone Foxes tear the house down along with the amazing line up that will precede them! LOTS OF AWESOME BANDS 8pm-2am, Rusty's 405 E 7th St Austin.